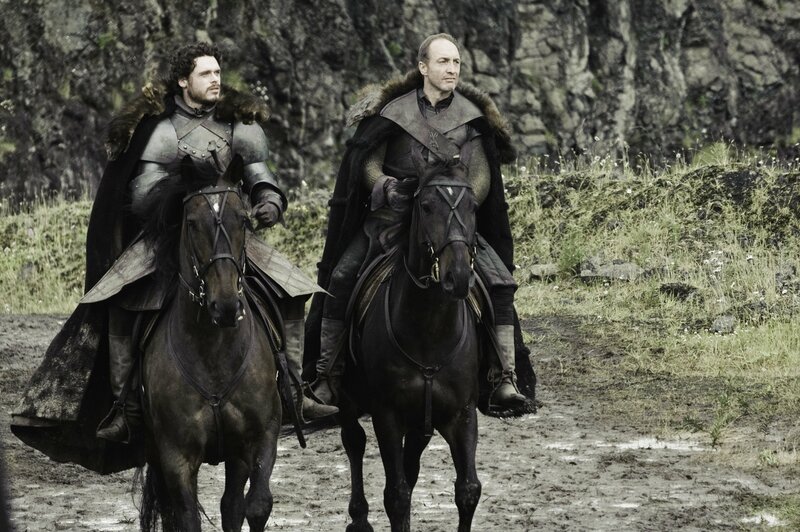 Robb Stark & Roose Bolton. . HD Wallpaper and background images in the Game of Thrones club tagged: game of thrones season 3 richard madden robb stark michael mcelhatton roose bolton. This Game of Thrones photo contains گھوڑے پگڈنڈی, horse trail, گھوڑا پگڈنڈی, گھوڑے wrangler نے, wrangler نے, گھوڑا حجتی, بکھیڑیا, lippizan, lipizzan, lippizaner, لاپپیزان, لاپیززان, and لاپپیزانر. There might also be گھوڑدوڑ کا گھوڑا, ریس کے گھوڑے, bangtail, گھوڑوں کی ریس کے گھوڑے, بانگٹاال, packhorse, پاکہورسی, سواری, and سٹیڈ.